Rosters moved to page 3 of topic with each garage having an individual thread with both numerical and photo data of bus types at each garage. Shortcut Links: Note: Links with a Blue Exclamation Mark(!) denote a roster change. All photos copyright © to Chicagobus.org, Kevin Zolkiewicz, or the owner of the photo used. Really? Then what's running on routes 6 and 14? Or do they come out of Forest Glen? Ok, you made your typical "Busjack-style" comment. I had to transfer a lot of info over to this thread, and I forgot a small chunk. I corrected it, happy??? You expect the rest of us to proofread your work? Yet, I suppose that in 13 years, someone will consider this authoritative. Since you are, why don't you tell us what the source is of those rosters? That's what I mean by authoritative. 4105 is also assigned to 103rd Garage. It is currently working Route 14 Jeffery Express. And 4102, 4104, and 4107-4207 are at North Park. There are some 65XX Novas at FG as well as 77th. There are Novas I the 647Xs at NP. FG has 6567, 6569-6593, 6708-6725, 6727-6737, 6739-6831, and 6833-6844. NP has 6471-6474 and 6692-6707. 6567 & 6569-6572 have been reassigned from FG to Chicago Avenue. 6845-6847 have migrated from 77th to FG. This should be updated, as well. When did 1720 make its way from Kedzie to 74th? I can't answer that. There were some surprising changes with the New Flyer rosters since I last updated them. I've been going on the info given by those listed above. The goal is to get it close to 100% as possible. We'll have to look into the 1720 transfer and see if that was an mistake or an actual transfer. I appreciate you bringing it to our attention, jajuan. 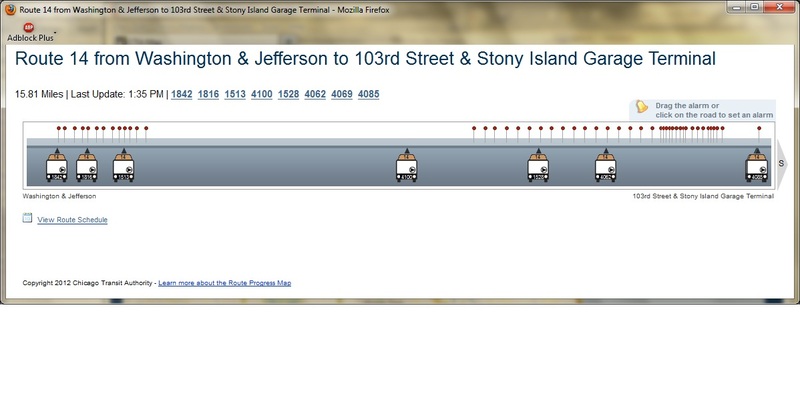 does this mean that 1482 has already been fixed and is at 103rd? 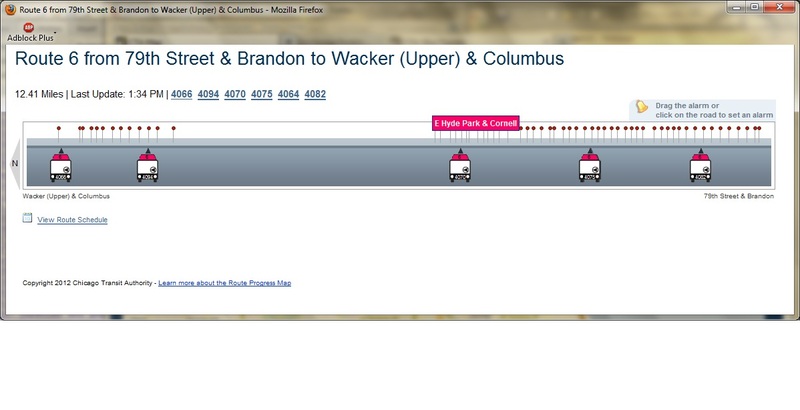 I updated the artics between Np and 103rd. Since the Jeffery Jump started #4106 has gone to Np and #4102, #4104 have gone south to 103rd. #4105 remains at 103rd. I don't know if #4102, #4104 are wrapped yet. I will let someone update the 1000s roster. Does anyone have an updated roster as far as the artics are concerned?